Avrill and I met at a mastermind session. Many of the people in our group would often have dreams of launching a website but not the time, energy or confidence to do so. Avrill decided to take the plunge and have me create her a website. The goal was to raise awareness of her brand and her new show, The Deep. 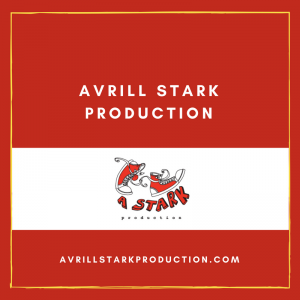 Avrill is an award winning producer of children’s television shows and wanted a website to showcase her portfolio as well as represent her personality. To kick off the project, Avrill had a visual concept created by her graphic designers. I was able to take the file and create and develop a website out of it. It was a nicely designed visual blueprint. It was extremely important that the site looked clean, fun and allowed people to get in touch with their inner child. I created the site within a couple of days and we spent a month following perfecting the content. Avrill was very happy with her new website. Her feedback was to reduce and strip some of the white space but she loved the personality that shined through. Avrill is reknown in the industry for her Red Sneakers. You can check out Avrill’s site here: http://avrillstarkproduction.com/ and be sure to catch The Deep on television.